After a night in Sacramento, CA. it was time to get started and that meant driving out to the trail head. This had to be the longest drive ever… Although it only took an hour or so, it seemed like days as we wound past places named Coloma, Georgetown, Placerville, and Ice House up through the last steep twisting bit of road. 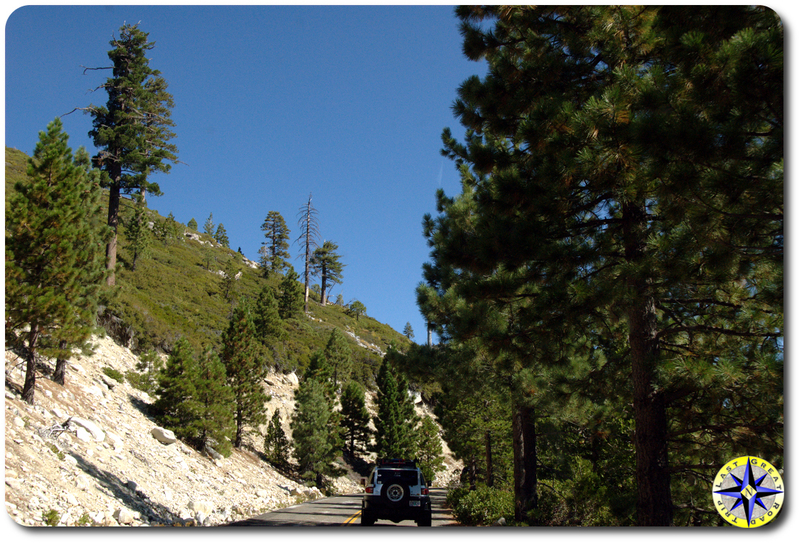 This was really it… The Rubicon Trail! Rolling into Loon Lake, the jumping off point for our Rubicon off-road adventure, we met up with the last of our group, Frank and Tim. As the owner of a custom bike business, Frank doesn’t discriminate between two and four wheels when it comes to off-road adventures. Frank drove in from Colorado in his Voodoo Blue Toyota FJ Cruiser sporting a roof top Shangri-La and outfitted for bear. When Frank got the invite from Mark, he immediately called Tim who hails from Sacramento. 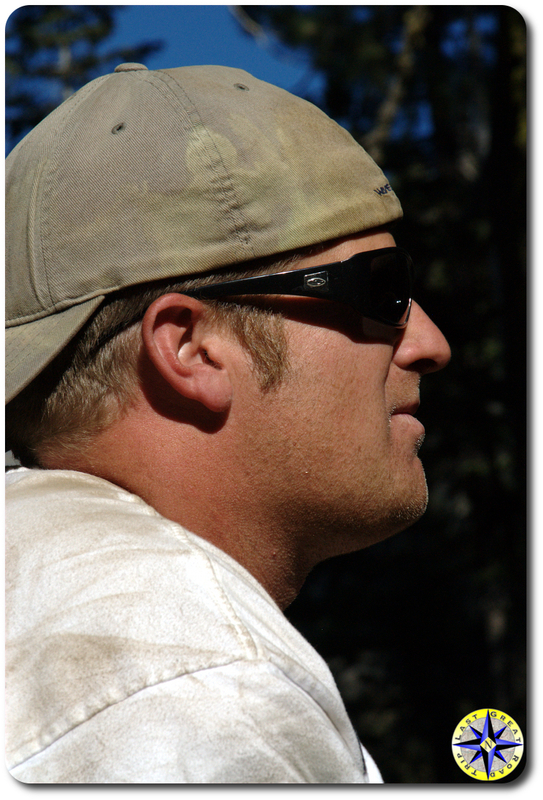 As a local, Tim knows the trail and provides us with an extra set of eyes for spotting through the big rocks. 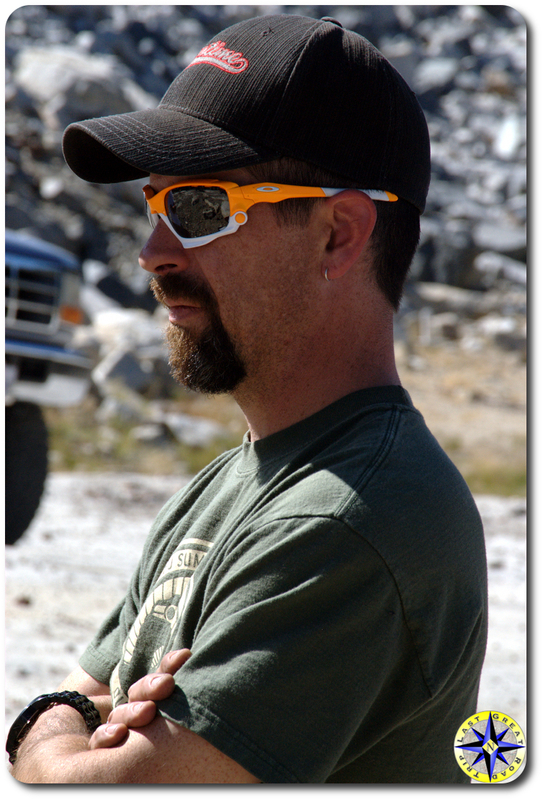 There are a lot of big rocks and tight spaces on the Rubicon Trail, those extra eyes will come in handy. Both Frank and Tim are the kind of easy going guys you want to hang out with which is good since all of us are going to be spending the next two days together on the Rubicon Trail. The group is now complete. Seven guys, five Toyota FJ Cruisers and one Toyota 80 series as transportation for Yoshi’s family over the trail and emergency support just in case the trail extracts a toll for our passage. The Annual Metal Tech Invitational Rubicon Trail off-road adventure was shaping up to be everything we could hope for… We were heading off on one of the most famous trails in the world with a great group of guys. Who could ask for more. Previous PostThe Gang Is Mostly HereNext PostOh My Hell… This Is Rubicon!